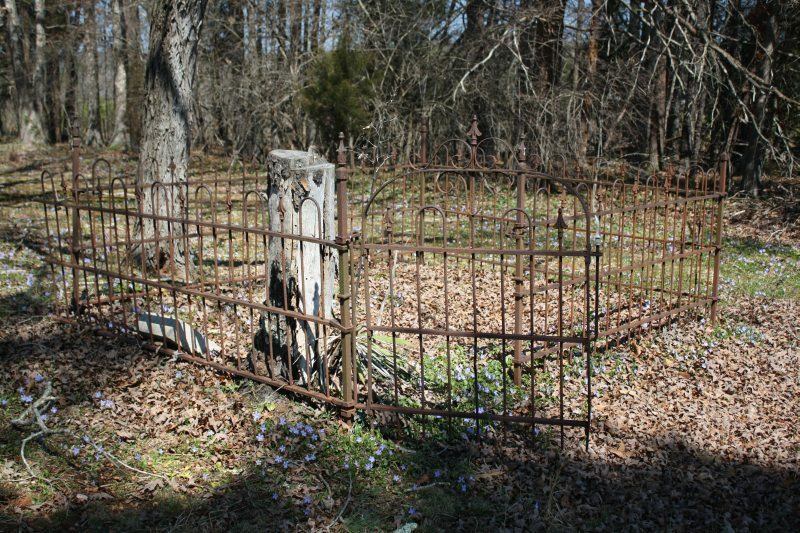 I spent several days of my Spring Break visiting various cemeteries throughout Pittsylvania County. Perfectly normal, right? 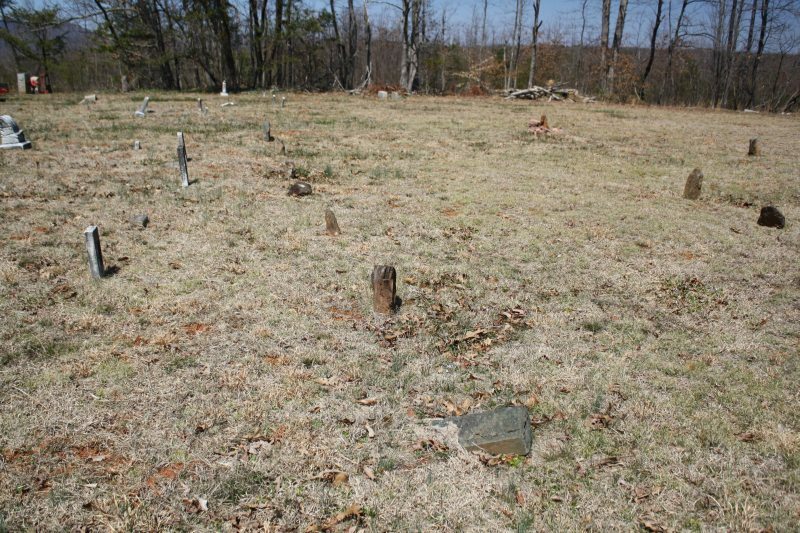 One of the graveyards on my “Cemeteries To See” list was Siloam United Methodist Church, in the northern part of Pittsylvania County to the west of Gretna. The church, established in 1832, sits atop a hill with a a great view of the mountains from the back. 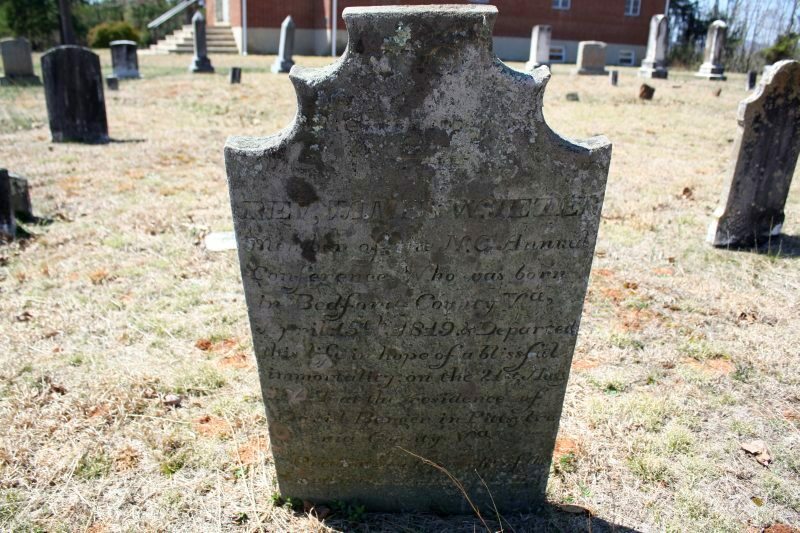 There is an older section of the cemetery to the right of the church which contained some very old, tablet style tombstones as well as stones from more modern decades. 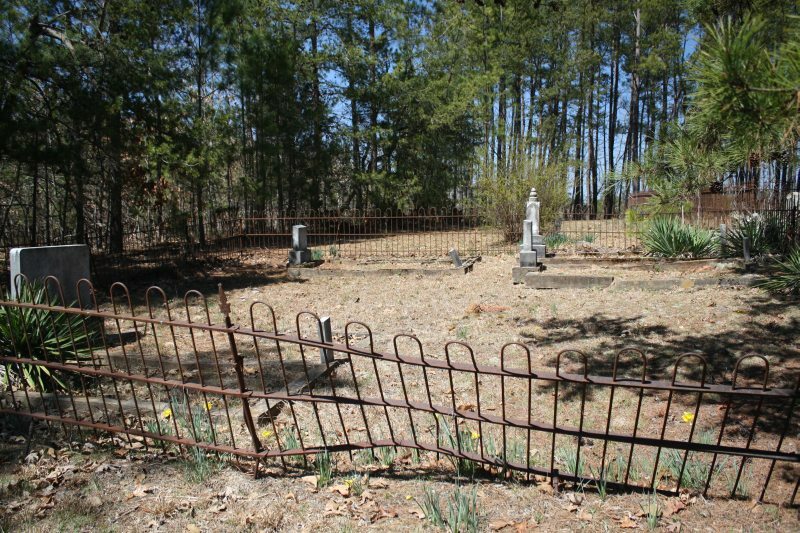 The rear of the churchyard has several family plots separated by iron fencing. 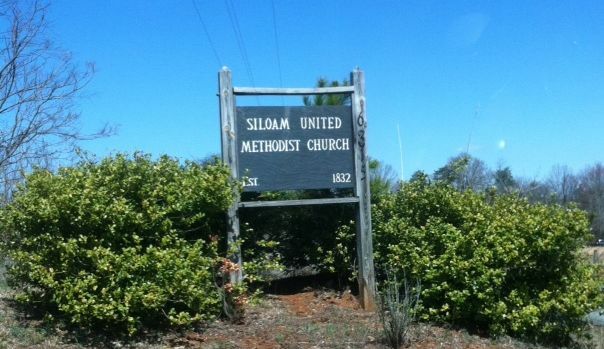 Tosh, Bennett, Graves, and Hogan were a few of the family surnames prevalent at Siloam. I’m only going to post some of the photos that I took that day, others may be featured in individual posts later on. 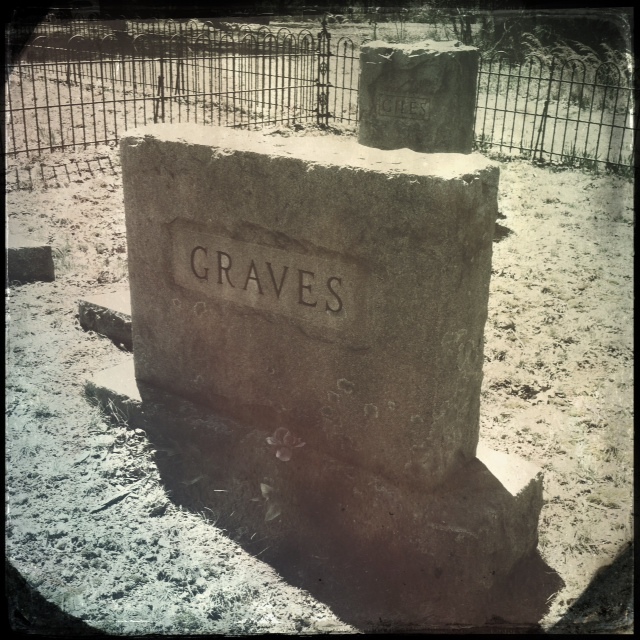 As of yet, I haven’t been able to match many graves with a cause of death or story from the historical newspapers. 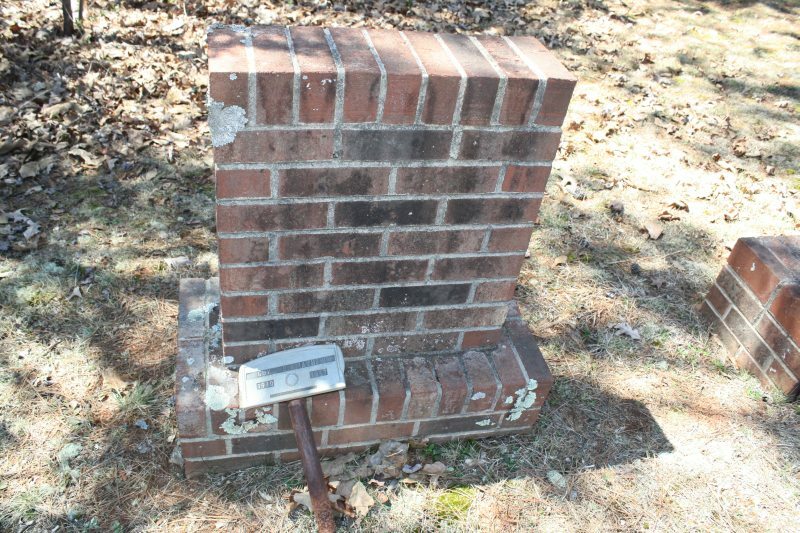 One of several markers made entirely of brick. 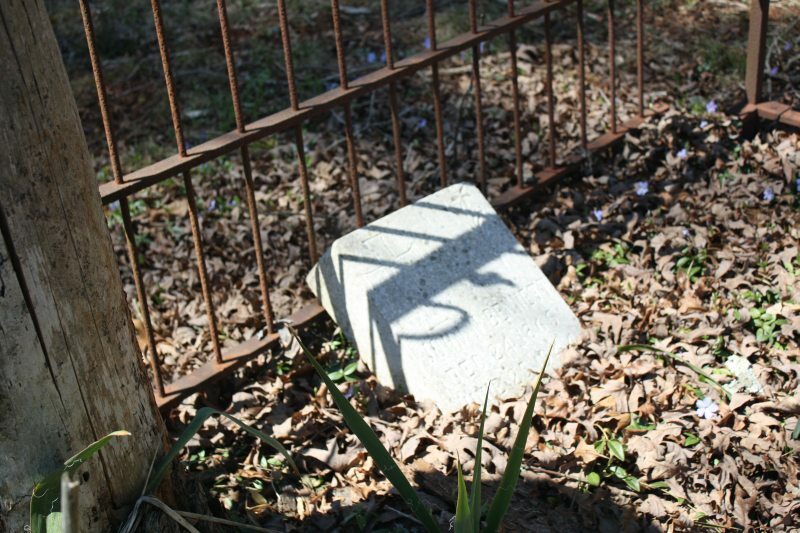 These graves are located in the part of the cemetery towards the front of the church. I can’t make out the rest of the inscription from my photos. I believe that these are unmarked field stones. 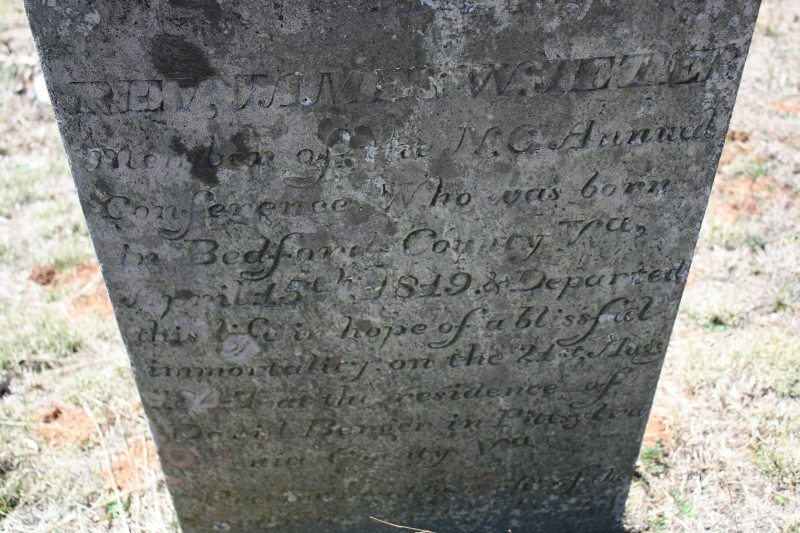 Some of them may have had inscriptions at one time, but the few I looked at closely didn’t. 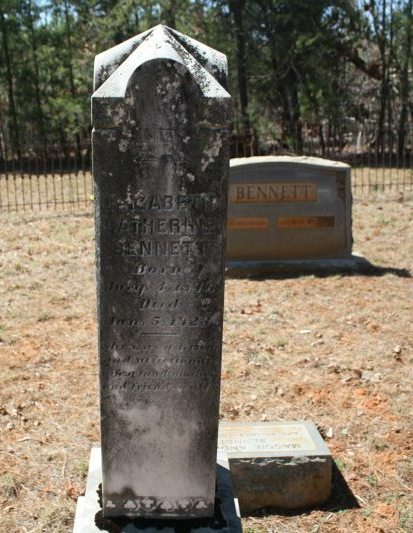 George R. Bennett’s vaulted obelisk monument is actually in front of the field stones above. The driveway to the church would be to the left of this picture. 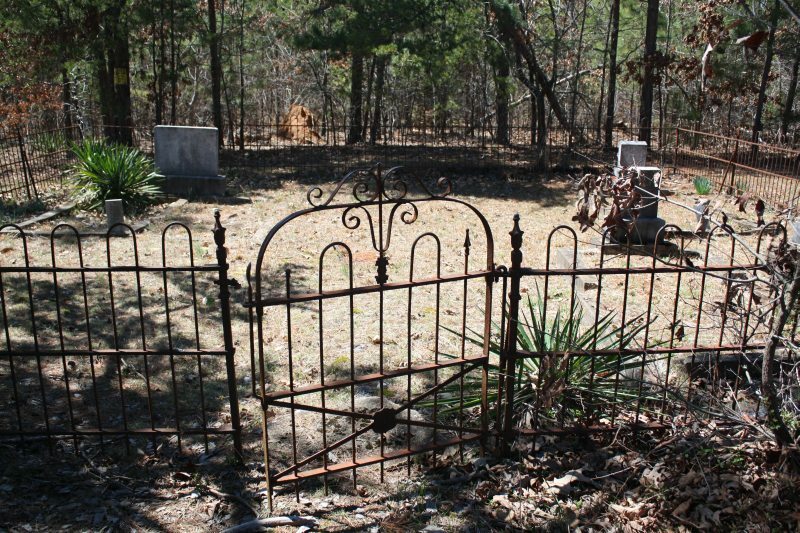 These were the last two photos I took at Siloam, but this gated enclosure would be the first plot you’d encounter as you drove towards the church. 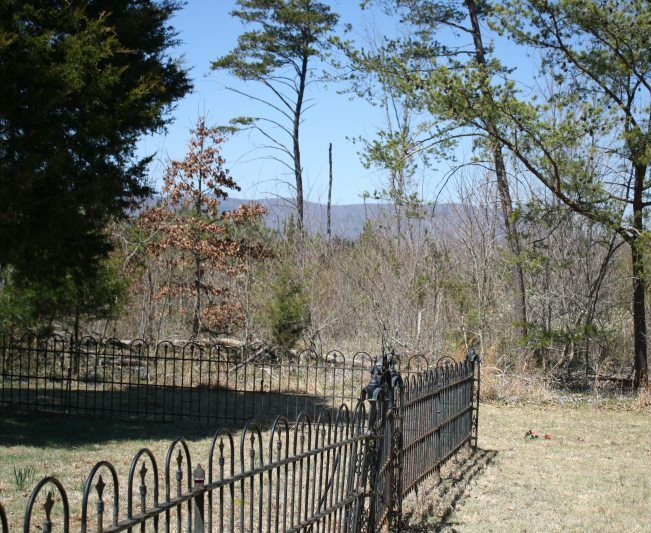 It’s located near the treeline, away from the other graves. This is probably of no significance but it’s something that I noticed. I could only see one marker in the plot, but the ground was covered with leaves and I didn’t want to risk accidentally disturbing a snake that far away from a hospital so I didn’t spend a lot of time there. 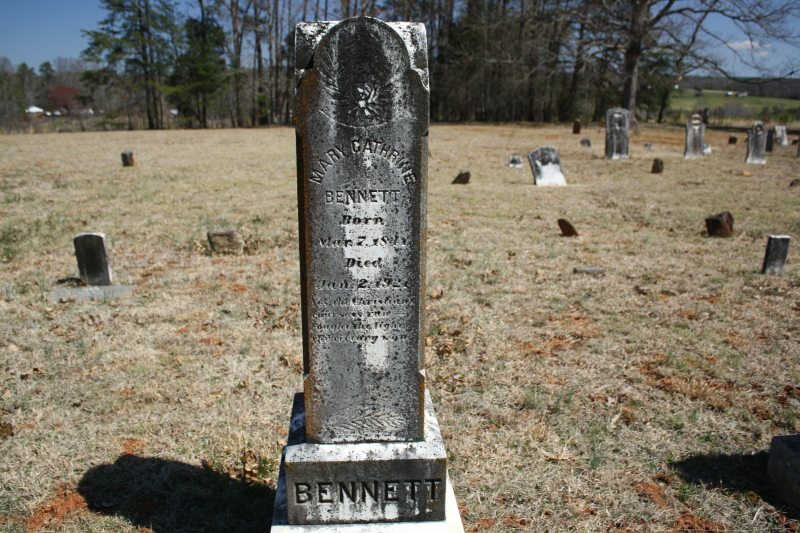 The one visible, tilted marker was for a John N. Bennett, born in 1865 or 1866 and who died in what looks like 1944. 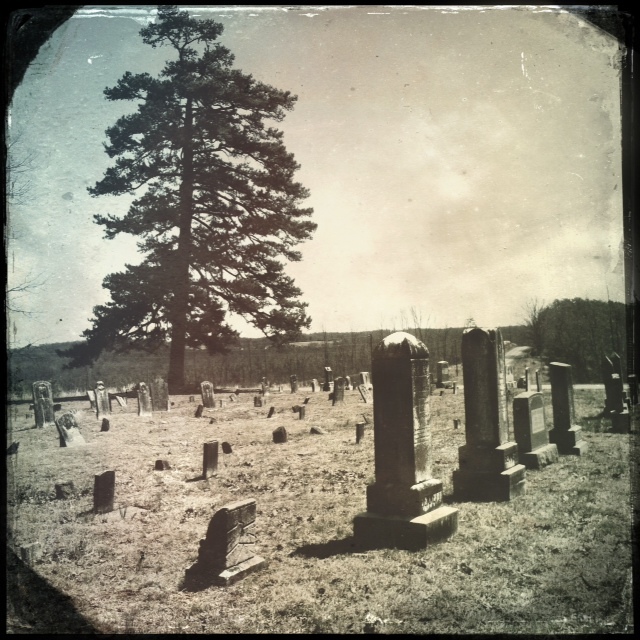 Of course I took a few Hipstamatic pictures with my phone. what a wonderful set of photographs. I'm really looking forward to further posts.